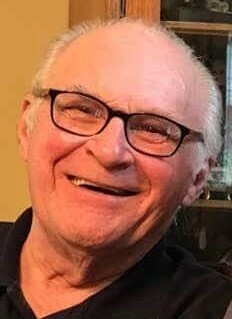 Kenneth L. Lipp, Sr., age 79, of Tionesta, PA, formerly of Punxsutawney, PA, died on Wednesday afternoon, September 19, 2018 at his home in Tionesta. He was born in Buffalo, NY on October 18, 1938, son of the late Adolph L. and Edna M. (Dehn) Lipp. He married his wife of 57 years, Constance L. “Connie” (Braznick) Lipp, in Erie, PA on August 5, 1961. She survives. Ken served in the U.S. Coast Guard from 1958-60, being stationed in Erie. He worked at Kolk in Buffalo before moving to Pennsylvania. In Pennsylvania, he initially worked at International Jensen and ProForm Powdered Metals in Punxsutawney, then Atlas Pressed Metals in DuBois, PA. He then worked as the head of maintenance for Curwensville Nursing Home in Curwensville, PA and retired from Mulberry Square Elder Care Center in Punxsutawney. Ken enjoyed collecting guns and was a fan of NASCAR auto racing. In addition to his wife, Connie, Ken is survived by his daughter, Louise M. Maine, currently in China, and his son, Kenneth L. Lipp, Jr. and his wife Sunni of Worthington, PA. He is also survived by his three grandchildren, Kevin Lipp and Rebecca and Ryan Maine. There will be no public visitation. All services held will be private. Arrangements are under the direction of the Norman J. Wimer Funeral Home of Tionesta. In honor of Ken’s life, the family requests that you do a good deed for someone in his memory. Memorial contributions may be made to the donor’s favorite charity.